An environment friendly, thinner-free, non-inflammable and odour-free agent for wood decoration. The product contains natural waxes of the highest quality repelling water to improve additionally wood durability and strength. The product comes in many colours imitating natural wood colours. The colour is indicated on the label or can lid. 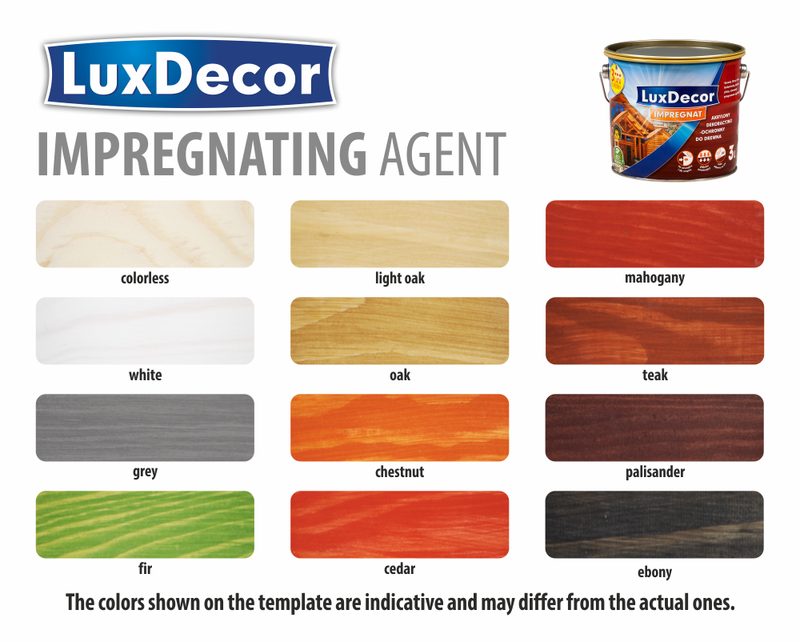 The impregnating agent leaves a partially visible wood grain structure. If more or thicker coatings are applied, the wood grain structure disappears. The product creates a matt coating. The final colour depends on many factors, such as the quality and species of wood, the type of surface treatment and the number of applied coatings of the agent. Make a colour test prior to application of the decoration on the main surface. Individual product batches may slightly differ in the shade of colour. It is recommended to use products from the same production batch for the entire project. 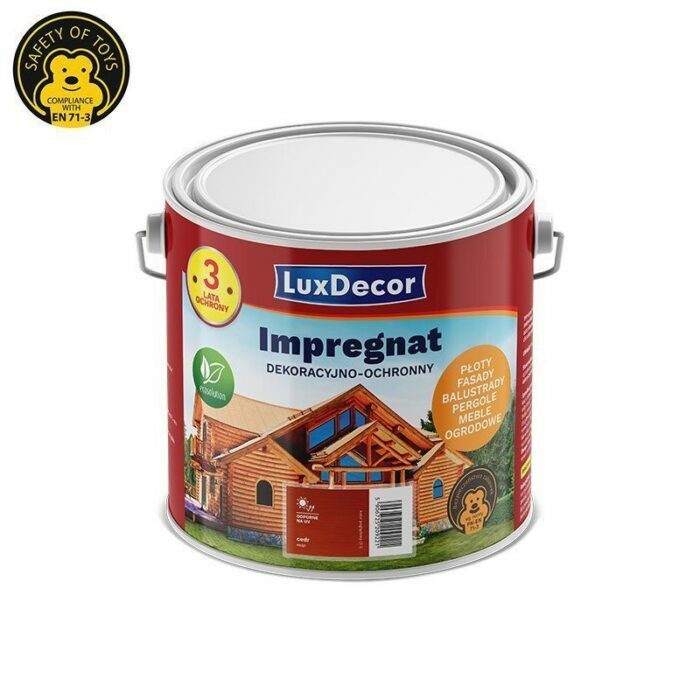 Application: An impregnating agent for decoration and preservation of any type of wood and wood-like materials. For indoor and outdoor use. 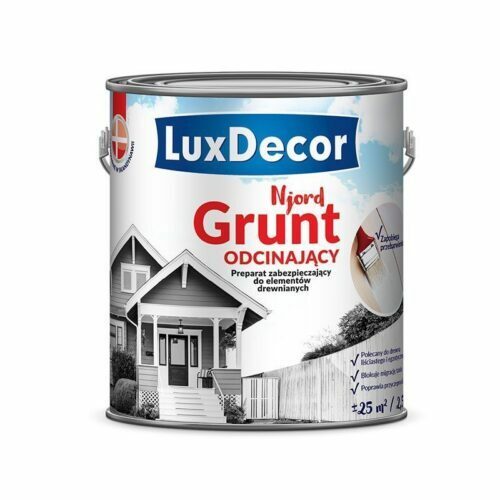 The product is recommended for painting facade of residential and utility buildings, architectural elements (beams, pillar, and balustrades), wooden garden elements (summer-houses, pergolas, garden furniture). By preventing water access, the product counteracts the growth of mould, fungi, decay and improves wood durability. The impregnating agent provides a very high colour fastness and resistance to weather conditions. Instruction for use: Paint at a temperature > 6°C. The surface to be painted must be cleaned and degreased (if necessary). Dust and dirt as well as old paint and varnish coatings must be removed. For resin coatings, they must be cleaned using an all-purpose solvent. The wood should be dry (moisture content < 15%). 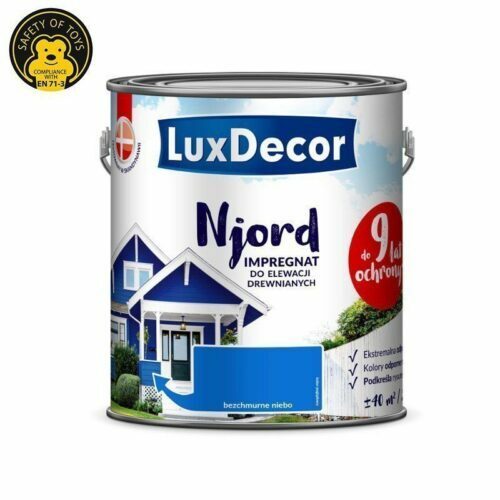 For wood of high moistness and exposed to precipitation, it is recommended to use a colourless antifungal agent to provide additional protection and recoat (once dried) with a LuxDecor acrylic decoration and preservation impregnating agent. During a long-term storage, the agent may stratify, which does not affect product performance. Before use, stir the product well. The product requires no dilution. If necessary, it can be diluted with water (up to 10% of water). Apply the agent using a brush or roller. Make sure the agent is distributed on the surface evenly. It is recommended to apply two layers of the agent. Recoat just after the first layer has dried. Clean your tools with water with a detergent as soon as the job is completed. Caution! Wear working clothes, as stains occurring during the job are difficult to remove. Coverage of the product depends on the type and absorptivity of the surface. 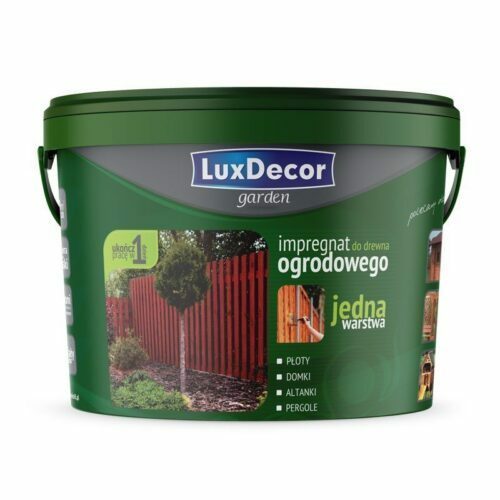 The product’s coverage is up to 10 m2 (absorbing untreated surface) and up to 20m2 per litre (smooth sanded surface). Note: The product has a semi-fluid gelatinous consistency which is the product’s natural feature and does not mean any loss of properties. Transport, storage: Keep out of the reach of children. Transport and store in the original, tightly closed container within a temperature range from 5 °C to 30 °C. Do not freeze through. Store in a dry and airy room. For the shelf life, see the packaging.